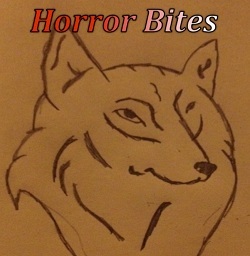 Just a note for all you horror followers: The next full moon in the Washington, DC area will be on Friday, June 13, 2014 at 12:13 AM according to the Farmer's Almanac. Should be an interesting night! 2: A word count of 300 to 500. I've never used so many exclamation marks in my life! And I took all 500 words to do it. I could add another hundred or so to smooth out the rough edges, but then it wouldn't fit the challenge! "Not sure, Jacob. Said he was going outside to catch butterflies, of all things." "In October? It's nearly dark. You know, Rachael, that boy ain't got a lick of sense." Rachael pulled back the curtain, but little was visible past the glow of the lantern on the porch. She wasn't worried; it was nearly time for supper and she was sure he would return soon. As expected, only a few minutes passed before Billy marched in and sat near the fireplace. He held a small bag, which seemed to be the focus of his attention. His father sat reading on the opposite side of the room. "Jacob?" Rachael called from the kitchen. "Can you get that boy to help out a little here?" "Billy! Get in there and help your mother." "Busy? Don't sass me or I'll make your backside busy!" "I'm playing with my butterflies right now." Billy opened the pouch and pulled out a handful of the winged creatures. "Damn boy! Get those things away from me! Those ain't butterflies! They're Death's Head moths! What's wrong with you, bringing those things in here? If they land on someone, they're marked—marked to die!" "You'll care when I take my belt to you." "Oh, yeah? Well, here!" Billy said while tossing the insects at his father. "Now you're marked!" The tiny creatures swirled around his head; a few entangled themselves in his long beard. Jacob swung wildly, batting at the insects, and trying to brush them from his clothes as he yelled, "Get 'em off me!" Desperate, he stumbled backward, his foot catching the leg of a chair, and he fell, striking his head on the stone base of the fireplace. There was a soft moan, then blood flowed from his temple. Rachael ran to her husband and lifted his head, her hands quickly coated in crimson and dead moths. "Hateful child! You've killed your own father! "I don't care! He was always looking for a reason to whip me. I'm glad he's dead!" "But he's your father, for God's sake!" "He never did nothin' for me. There wasn't a day in my life he didn't make harder than it needed to be." "Maybe so, but he kept a roof over our heads and food on the table. And it won't be any easier when the sheriff finds out. He'll lock you up for sure. Better get out of this house while you can. Won't be able to keep the farm anyway with Jacob gone, so get out!" "I ain't going nowhere," Billy said. He sat down in a chair at the kitchen table and played with the drawstring on the bag. "I'm hungry." "Hungry? You can think about food when your father lies dead not ten feet away?" "Can't help it. I'm hungry." "And what makes you think I'm gonna give you any supper?" Billy held up the bag. "Because I still have one more left." Getting all "romantical" as Popeye would say... and demonstrating the timeless conflict between fantasy and reality. "I love being by the sea—the salt air, the sun, the old stone buildings. Couldn't we just stay here and live like the rest of the world didn't exist?" "I suppose so, but we'd have to forgo our salaries, the convenience of the shops near our home, all of the luxuries we've grown accustomed to." "It's silly, I know, but wouldn't it be wonderful to wake up each day and watch the sun rise over the ocean—together?" "I'll cast my anchor anywhere you wish, Jenny—well, as long as it's not a big as the one in the corner over there." I noticed my readership was increasing this month with a chance to go over 3,000 hits per month for the very fist time. So I checked again today and saw that my blog had over 1,600 hits for a single day. I'm not sure why, but I'm way over 3,000 for this month now. I don't know if anyone is reading, but it's most likely a fluke. Or a hacker. Or Blogger went crazy somehow. 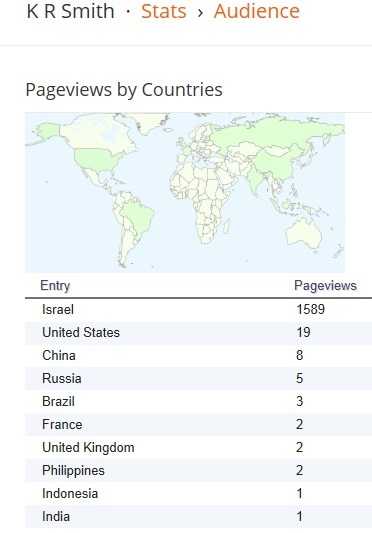 Or the folks in Israel really like my stuff. Same lyric as last time, but a different story. Before sixteen years had passed on this Earth, Kara found herself deserted, surrounded by strangers, and afraid. So much in love, or so she thought, she was willing to give him whatever he wanted, but she never thought he would want someone else. When he left, her pride, her dignity, her innocence—all vanished before the tears had time to dry. 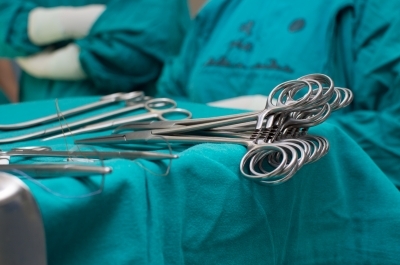 As they wheeled the gurney into a room to take care of the only thing he had left behind, there were no emotions on her face, only a blank stare at the ceiling. When it was over, however, and Kara held the squirming little bundle in her arms, she somehow found all that had been lost within the glow of her daughter's tiny face. Yes, I know it's been a while since I've posted a free photo. To make it up to you, I'm posting a bunch of 'em. Just a few miles north of Washington, DC is the Brighton Dam Azalea Garden. 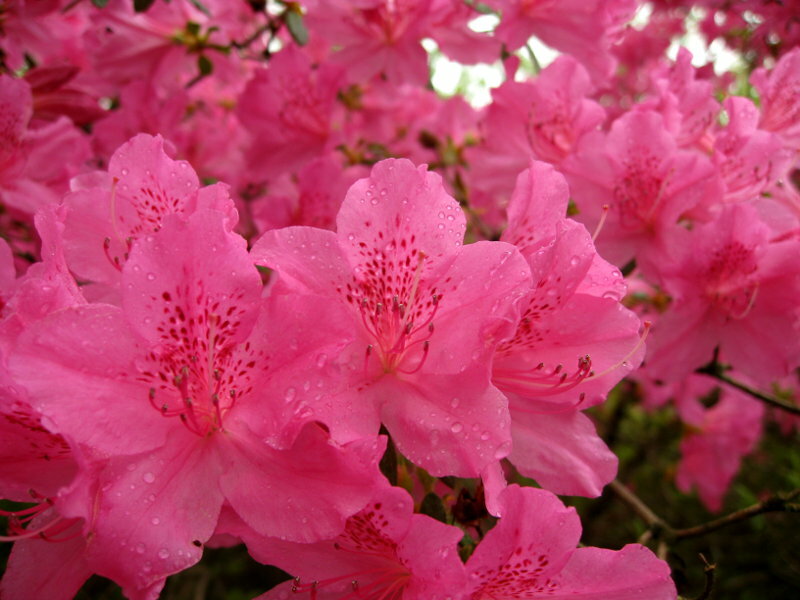 Each spring, they open the garden to the public when the azaleas bloom. The garden is about five acres in size, and there is additional open space in a park on the other side of the road. Here's a sample of what you'll see! in the garden - image AZ_9575.JPG. Stop back again! I'll have another photo for you next week (or fairly soon thereafter)! Images AZ_9559.JPG, AZ_9566.JPG,AZ_9573.JPG, AZ_9575.JPG, AZ_9618.JPG, AZ_9636.JPG, and AZ_9647.JPG ©2014 K. R. Smith - www.theworldofkrsmith.com - may be used, in whole or in part, with attribution. As the students and teachers made their way out of the designated shelter rooms in the center of the school, the principal remarked how they had all survived the tornado with just a few minor injuries even though the storm had blown out most of the doors and windows, and water and mud were everywhere. "All except for Kyle," a girl replied, nearly in tears. "He was outside during the storm?" "He was going to sneak into one of the dugouts at the ball field for a, uh, a smoke," one of the boys offered with trepidation. As they marched toward the exit to begin a search, Kyle strutted in where the doors had been, and upon seeing the others staring, pulled out his earbuds to say, "What?" as the voice of Jim Morrison poured from the tiny speakers. Here's another post in reply to the writing challenge on the Office Mango website. based upon the picture provided. 2: A word count of 200 to 300. I know the people in this house. I used to talk to them a lot, but they seldom come out any more. We used to play and sing, and sometimes have games on the lawn. It was so much fun. That was all before the accident, of course. When that happened, there were people walking all around the yard, into the house and the woods, asking everyone questions. I thought it was really exciting. Since then, the lady and her daughter don't want to play anymore. When I come by, they go back into the house and shut the door. They pull back the curtain just enough to peek out. I know they see me, but they won't come outside. Sometimes I call out to lady, asking if her daughter can play with me. That's when I hear the lady crying. I think they would be a lot happier if they just came out and played for a while. The weather is really nice this time of year. So each day I stand here and wait for them wearing my yellow dress. I remember once how the lady said my dress was pretty. It has a few spots on it now, but it's still nice. The spots are red. I don't know why they won't come out. If they didn't want me around, they should have buried me farther away. 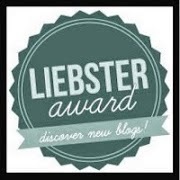 I have had the honor of the Liebster Award bestowed upon me by Tess of The Lighthouse! Thank you, Tess, for nominating me for this award! I had never heard of it before, but nevertheless I will proudly display the badge of the Liebster. It is awarded to those who other bloggers feel have added something of value to the blogosphere. There are (who knew?) official rules for the Liebster award (see bottom of page) and I will attempt to fulfill the requirements. This is Part I of that journey. 1. What is the clearest memory of your childhood? All the time I spent exploring the woodlands, streams, and shores. There are so many mysteries in the natural world. What a dull life it would be if I understood them all. 2. If you could be teleported anywhere in the world, where would you go? Paris. I've always wanted to travel to the City of Lights, but I'm not entirely sure why other than the delayed effect of the Madeline books I read as a child. I'd also like to be teleported back home at some point; otherwise, it might be difficult to explain my presence there. 3. What is your favourite Christmas tradition? (Warning: If you do not wish to hear a rant, please skip to the next question.) It's not so much of a tradition in the usual sense, but how I experienced the holiday period in the past. The last month of the year had a different feeling for me than it does today. It was a peaceful, magical time, full of colors, the scent of spice and pine, Christmas gardens, and reflective walks in the snow. That seems to have disappeared, replaced by a frantic, over-crowded, traffic-filled quest for the latest fad or gadget by a population that mostly consists of whiny, self-absorbed, spoiled brats of all ages. I'm certain that's overstated, but it's often difficult for me to feel otherwise. I hope to find what it used to be again someday. Note: if you use pre-cooked sausage, the amount of time you spend cooking will be greatly reduced. You can use Italian sausage, turkey sausage, probably even a soy-based sausage if you really have to—it will all work fine. If you don't have pre-cooked sausage (it will say 'fully cooked' on the label), cook that in a frying pan with a drizzle of oil then set it aside. Once it's cool enough to touch (or it's pre-cooked), slice it on a diagonal and set it aside again. Get your pasta boiling and cook it per the instructions on the box. Meanwhile, in a large skillet or wok, put in a little oil, and when it gets fairly hot toss in the bell pepper and onion. Stir them around a little while. Once they've started to soften, add the zucchini and garlic (clove or dried to your taste). Mix a little (a few teaspoons?) tomato paste with water and add it to the vegetables in the pan and keep it cooking. If you don't have paste, tomato sauce (or even a touch of ketchup if you're desperate) will work. I like the color the paste gives. Add a bit of water or water/paste mixture if it gets too dry. The pasta should be about done now. Drain and set it aside. With pre-cooked sausage, it only takes about thirty minutes. I have no idea if this is in any way authentic or healthy, but it's pretty good and it doesn't take too long to do. 5. You’ve won the lottery! After gifts to family, friends, and charities, what would you do for yourself? Well, perhaps have a house built somewhere nice. Not a fancy house, but a functional one, preferably with at least some view of the water. 6. Why do you write? And, if you care to share (and have the time) why do you blog? There are a number of reason why I write. It's mainly for fun at the moment. I have lots of stories inside my brain, and I want to get them down where others can experience them to see their reaction. From that, I can tell if they understand the world them same way as I do or if I really am crazy. I can even accept being crazy as long as the stories are entertaining. To me, writing is like a jigsaw puzzle with a few blank pieces. For the most part, I know what the final product should look like as soon as the idea comes into my head, but getting all the pieces to fit is a challenge. I like that challenge. And those blank pieces? I get to make up what goes there, and that's where the little twists and turns come in. 7. Do you have a favourite word? Is there a word you overuse? My favourite word would have to be petrichor. I don't know what it means, and I don't have time to look it up right now—it's starting to rain and I have to close the windows to keep that weird smell out of the house. As a plus, the Blogger spell checker doesn't seem to have any idea that the word exists. I like the word because many people know what petrichor is, but few know the word for it. Someday I hope to use it to great advantage in a story. The runner-up in this category would be eldritch. Yes, I read a lot of Lovecraft. I overuse many words, but the one that actually annoys me is actually. I actually use it far more often than I actually need to. 8. Whose writing do you most admire? Almost everyone is better than me, so there are too many to pick just one. Charlotte Bronte - She wrote stories about situations I wouldn't think I'd have the slightest interest in, and yet I do. Charles Dickens - To teach me how to create colorful characters. Edgar Allen Poe - He's a local boy, so I had to give him a mention. 9. What skill or superpower would you most like to have - that you do not already possess. The ability to heal people—you know, cancer, ghastly wounds, hemorrhoids, what have you. 10. Someone else is doing the cooking and cleanup. Invite one living and one dead (This is imaginary, so both will accept, and neither will be dead when they arrive at your door) person to dinner. You say one living and one dead? Not that I'm particularly religious in the traditional sense, but I was going to invite Jesus. I'm not certain, however, concerning the point about living and dead as to whether he qualifies as neither or both. I suppose I could let him decide. I anyone knows, he should. Why Jesus? Let's just say I have questions. If Jesus is alive, then I'll invite my father. I miss him. If not, I'll invite my mother. She'll get mad if I don't. 11. Is there a book you reread over and over again and it's always as good as the first time? The dictionary. Yes, the plot's a little thin and the characters are poorly developed, but every time I read it I learn something new. 2. I spent time in several "mental health" facilities. This is in no way related to "random fact #1." I worked there. Honest! 3. I once ran over a friend with a motorcycle. It was an accident and that's the story I'm sticking to. He lived and now owns that motorcycle. 4. I am a Libra. This may be the most normal "random fact" on this list. 5. I have been to Attapulgus, Georgia (USA) which is famous for attapulgite, a clay often used in cat litter. 7. I have single-handedly caused a quarter mile backup (each direction) in Wolfville, Nova Scotia by simply trying to cross the street. I'd rather not go into detail, but I am forever grateful that the people of that fine city are both polite and peaceful. 8. I once caught a foul ball at a baseball game. 9. After vacationing in Canada, I was nearly denied entry back into my own country (USA) because I was in the possession of a certain prohibited organic material. It was a potato. Don't laugh. The customs guy had his hand on his gun the whole time. He really had no sense of humor. The potato in question was confiscated and, I presume, eaten by someone other than myself—perhaps by a US Customs employee later that day. 10. The home my mother grew up in is so remote it is now part of a nature preserve. 11. I received my physical education credits in college by going on a week-long bicycling/camping trip, essentially a vacation. I have used that as a model for the rest of my life. I still have a few things to do to complete the acceptance, and I will finish these tasks as time allows! Look for Part II! "He's gotten out again, hasn't he, Rosella?" "Yes, Lavinia, he has, and you can tell he loves to run and play on these nice days. And I enjoy watching him." "Why don't you put up a fence to keep him in your yard?" The old woman replied in a thick accent as she rubbed the tattoo on her arm, "I'm not really fond of fences."